In the second post of our new occasional series exploring some of the UK's towns and cities from a design lover's perspective, Laurie Prescott shares her guide to the UK's second city. Birmingham tends to get a bad rap compared to the glamorous London and the rock’n’roll nightlife of Manchester. Birmingham gets the raw end of the deal, sitting in the shadows of flashier cities, but the rough diamond in the Midlands is having the last laugh – as independent restaurants and exciting shops and cafés are popping up all over the city, residents and visitors are finding reasons to fall in love with the vibrant culture of this once-industrial-hot-bed. 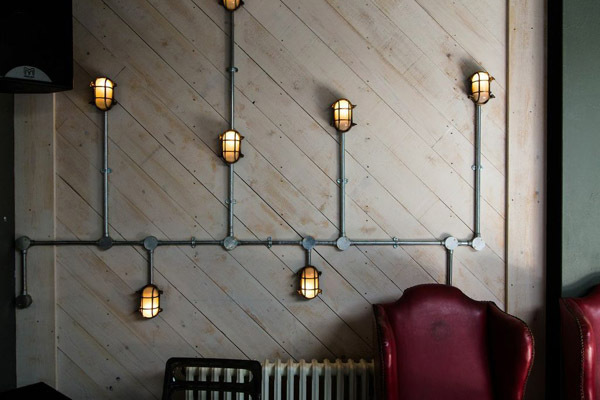 The Bloc Hotel - The best 'budget' option in Birmingham, Bloc has cool and useful in equal amounts. Located in the Jewellery Quarter, Bloc is a great base to explore the whole city. The décor does not give away the hotel’s budget price point – clean lines, luxe fabrics and suede on the walls give the feeling of high comfort. The hotel blends technology and luxury, including keyless entry, ambient lighting and sophisticated climate control. By taking away fussy extras that aren’t essential, each room is chic and simple. 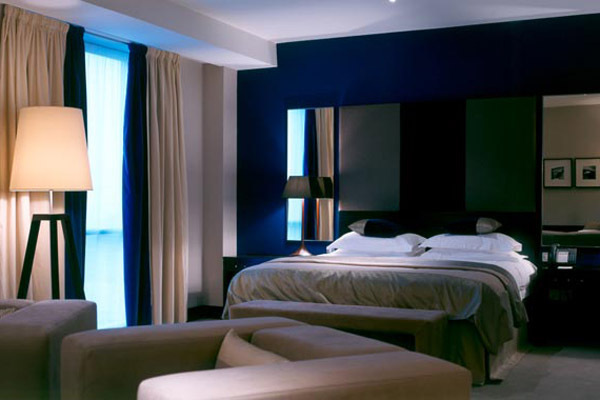 Malmaison is part of a chain of hotels but offers relatively affordable luxury in the city. Part of the stylish Mailbox development that houses Harvey Nichols, Malmaison offers comfort in sumptuous dark reds and blacks. The Penny Black Suite has a spa and a cinema – what more could you need? The brasserie is the ideal place to enjoy classic food with a modern twist and the bar has a good atmosphere at the weekend with a laidback vibe. Fleet Street Kitchen - One of the newest restaurants on Birmingham’s foodie scene, Fleet Street Kitchen bridges the gap between casual dining and something a bit more special. With a fresh, bright country kitchen feel to it, they offer unpretentious British food. Six Eight Kafé - Just one of the friendly, independent cafés in Birmingham, Six Eight blends coffee with art and events – from film nights to exhibitions. Six Eight offers that feeling of community and a warm welcome that you just don’t get from the chains. The Church, JQ - Another spot not to be missed is The Church, nestled in the Jewellery Quarter that combines American styled home-cooking with the elegance of a French bistro. Local enterprise The Soul Food Project provides the food and an impressive cocktail menu means you’ll sample Birmingham’s take on traditional US hospitality. The impressive roof terrace feels like you’re amongst the roof tops of New York rather than the West Midlands. Selfridges - Like it or loathe it, the Selfridges building has become one of the most iconic landmarks on the Birmingham skyline. Every shopper’s dream, Selfridges offers four floors of fashion, food and homewares and everything in between. a too - Another go-to retail destination, a too has made a name for itself as an alternative streetwear and luxury denim purveyor since it opened in 1998. Stocking the like of Uniform Wares and Comme des Garçons, a too is a favourite with fashion-savvy gents. The Liquor Store is located in the Great Western Arcade, one of the cities remaining Victorian arcades with lots of independent boutiques. Handpicking ‘up and coming’ brands alongside heritage pieces, it is undoubtedly one of the go-to destinations for menswear in Birmingham. 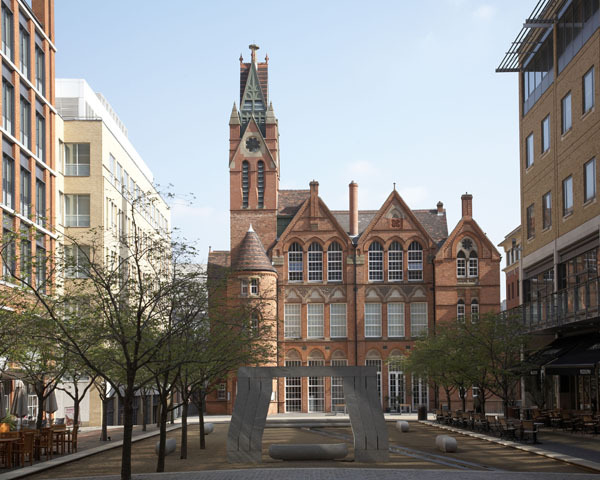 Ikon - The critically acclaimed Ikon gallery is a stalwart of Birmingham’s contemporary art scene. Housed in the neo-gothic Oozells Street School, a former boarding school, Ikon has a reputation for hosting exhibitions from some of the world’s best artists. Don’t miss the singing lift! While you’re there, pop in to Café Opus at Ikon, a new sister venue from the owners of Opus restaurant. 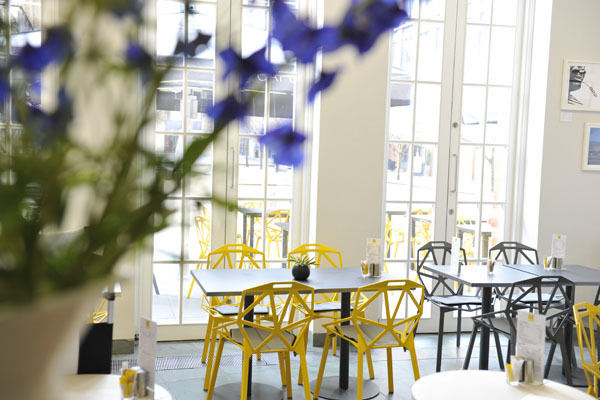 The gallery and restaurant still have the original school windows which contrast with the stark white interior and pops of colourful furniture. The Custard Factory - At the heart of Digbeth and Birmingham’s creative quarter, the Custard Factory is a sprawling site of canalside factories built by the inventor of custard himself. Home to a dynamic community of creatives, retailers and a thriving music scene, the Custard Factory and new Zellig space supports art galleries, public spaces and much more besides. Brightly coloured old-brick buildings sit next to contemporary architecture and sculpture. If you can, visit on a Saturday to see the flea market and soak up the atmosphere. Canal Trip - Everyone knows Birmingham has more miles of canal than Venice. Don’t they? A great way to explore the city, canal trips are on offer from numerous points around the city and show you some of secret spots that you might not discover on foot. The Electric - The UK’s oldest working cinema, The Electric, is an absolute gem for film-buffs, often showing independent, foreign and classic films. Inside, you’re transported back to the turn of the 20th century as the cinema boasts art deco elegant interiors of a by-gone era. Did I mention the sofas, bar and waiter service? Immerse yourself in some serious old-time glamour and enjoy the film from the comfort of your seat, without even having to get up to pour yourself a drink. Moseley Festivals - A little slice of the countryside just outside of the city, Moseley is the ‘bohemian’ village a couple of miles south of Birmingham. Every year it hosts two music festivals; Mostly Jazz and Moseley Folk Festival. A healthy mix of music that remains faithful to the genres as well as more experimental, contemporary artists, the woodland setting is the perfect amphitheatre with the lake as a backdrop. 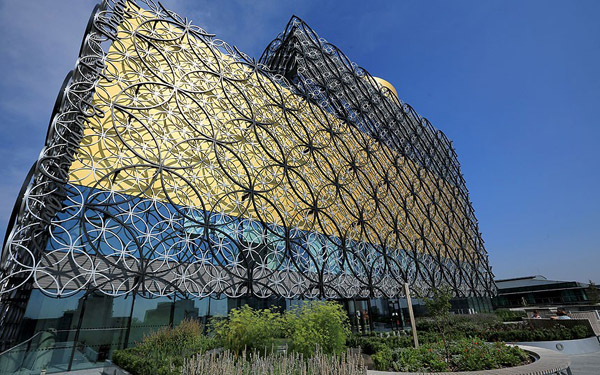 Visit the new Library of Birmingham. Birmingham’s new flagship library has given the city some national recognition in the past few weeks since opening. Another architecturally divisive building in the city, the striking design resembles stacked gold and black boxes and has been referred to as the ‘Vuitton library’. There is a roof terrace and an amphitheatre, it is not to be missed and nor can it be. Laurie Prescott works in PR and in her spare time enjoys writing her fashion and lifestyle blog Bell & Smokey.